The SPEROs are intergalactic unmanned probes built and launched by the Koppaites. Their function is to search out planets that harbor edible matter; in the case of the Koppaites, this means fruit. Many SPEROs were built, yet only one of the last few dispatched actually managed to find a planet with suitable food. Besides being plot points, SPEROs serve a purpose in Mission Mode. They are used as a storage device for the fruits, treasures and enemies collected in Collect Treasure! stages, comparable to the ship's Research Pod in underground areas in Pikmin 2. Besides that, it can collect Burgeoning Spiderwort berries and bring Louie back to consciousness when he is carried to one, meaning that it can appear in Battle Enemies! stages as well. It has no other functions, however. "SPERO" is pronounced like "sparrow", as proven by the introduction cutscene in Pikmin 3. Because the name is written in all caps, it is most likely an acronym, albeit an unknown one. Interestingly, SPERO also means "I hope" in Italian. Given the probes' mission, it seems fitting. SPEROs searching for other planets with edible food for Koppai, from the game's introduction cutscene. Official art of the SPERO from one of Nintendo's magazines. Part of the SPERO's texture, showing the Koppaite text. 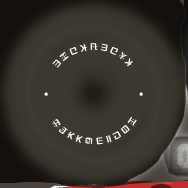 The lens frame at the front of the SPERO has Koppaite text on it that reads "Automatic Ultrascope". This is a reference to the Automatic Ultra Scope, the Japanese name of a toy periscope released by Nintendo in 1971. The text is too small to read normally, but can be seen on the device's texture. This page was last edited on November 23, 2018, at 14:33.